Bit on the Side host, Rylan Clark-Neal, has been given his own late night chat show on Channel 5! Find out what you can expect right here.. In the weeks leading up to the next series of Big Brother, Rylan will take the 11pm slot on Channel 5 once again to host his very own chat show. This lively and irreverent late night show will be packed full of engaging celebrities, social buzz, live music and mischievous late night games. Featuring a live studio audience, the series will be interactive and edgy and if you’re not ready for bed, stay up late with Rylan! 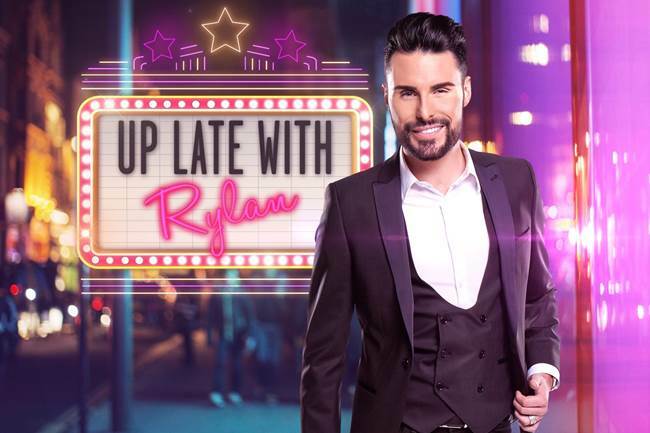 Up Late with Rylan will starts on Monday 9th May on Channel 5 at 11pm and airs every Monday – Thursday! Pre-BB: Tabloid and MTV stars to enter Big Brother 2016 as “celebrities”?